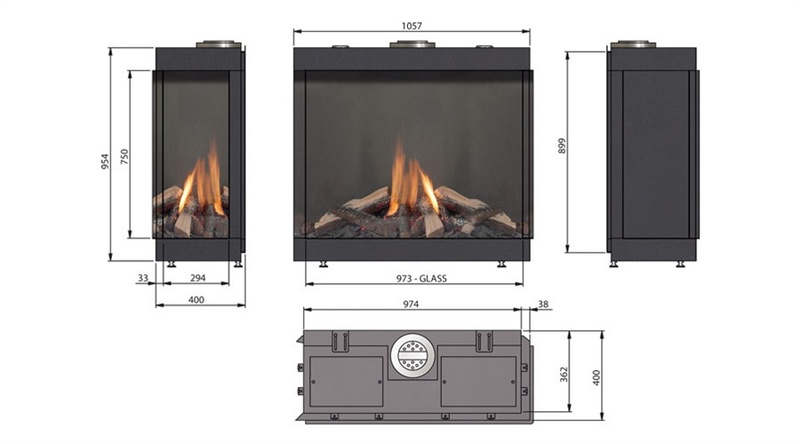 The front side of hermetic natural gas fireplaces have been covered with glass. 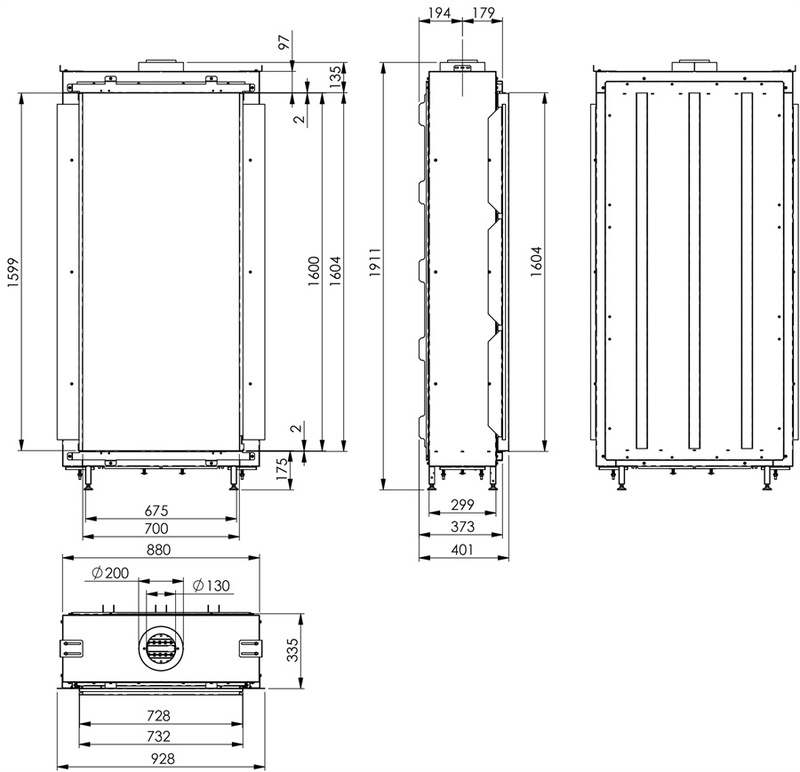 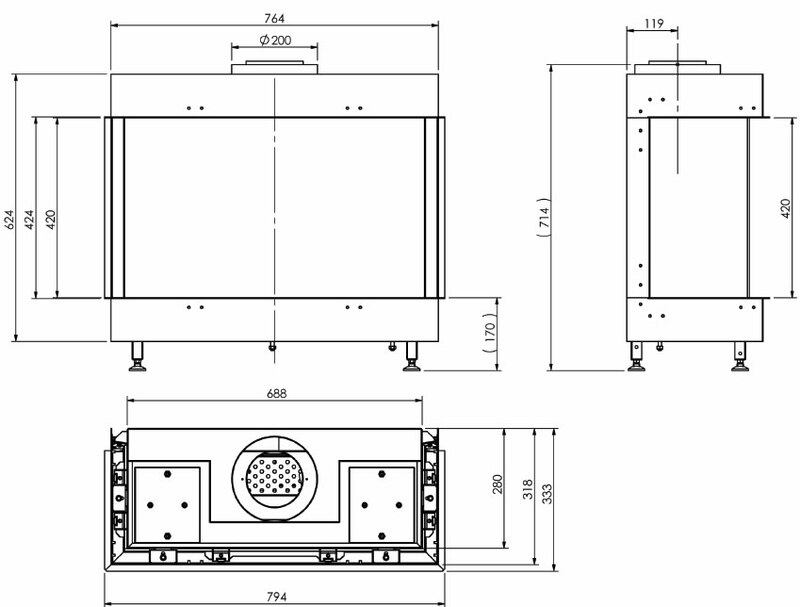 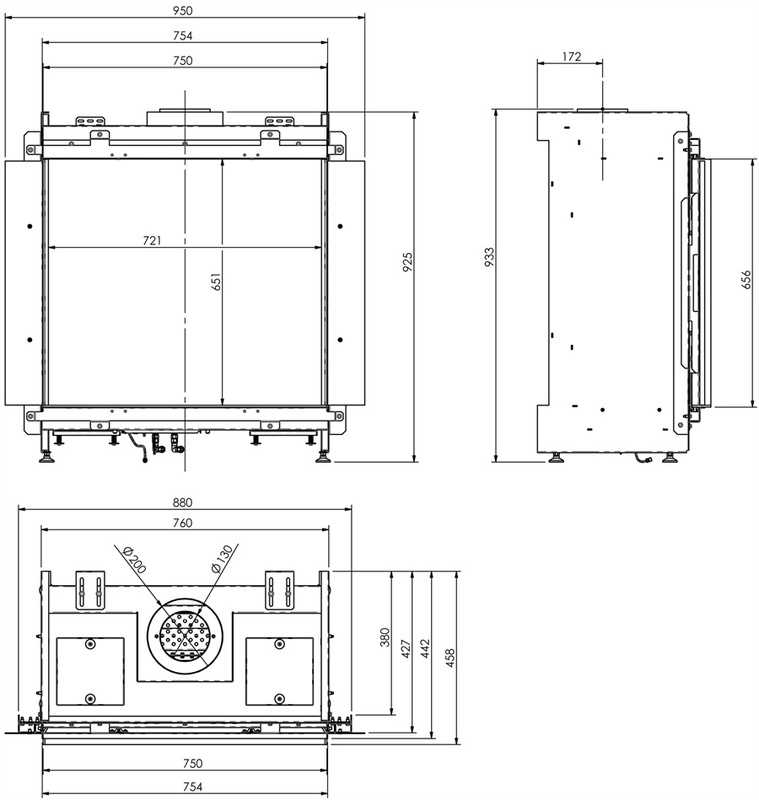 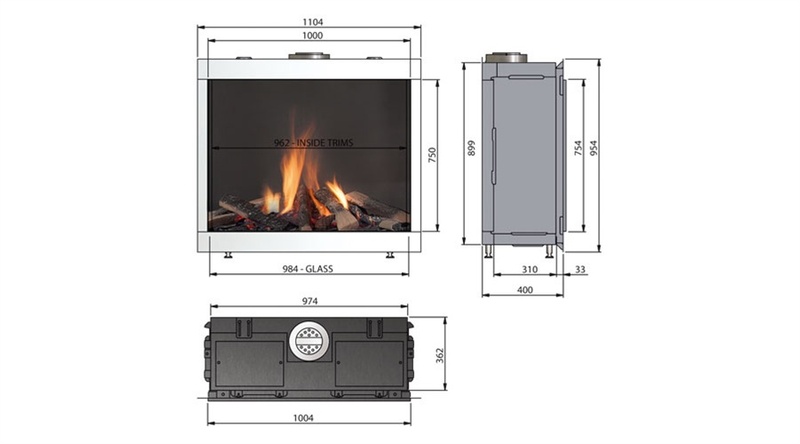 It has a well-developed chimney system which creates a natural convection to aspirate the air from outside and which blows the inner gas out using a separate section. 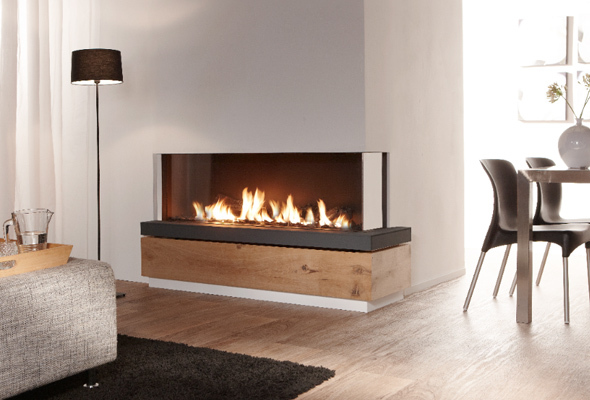 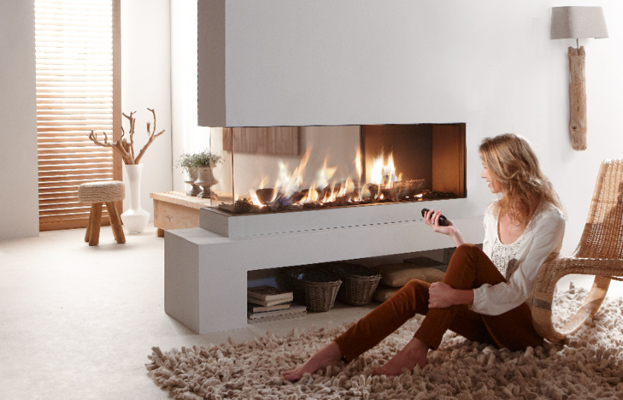 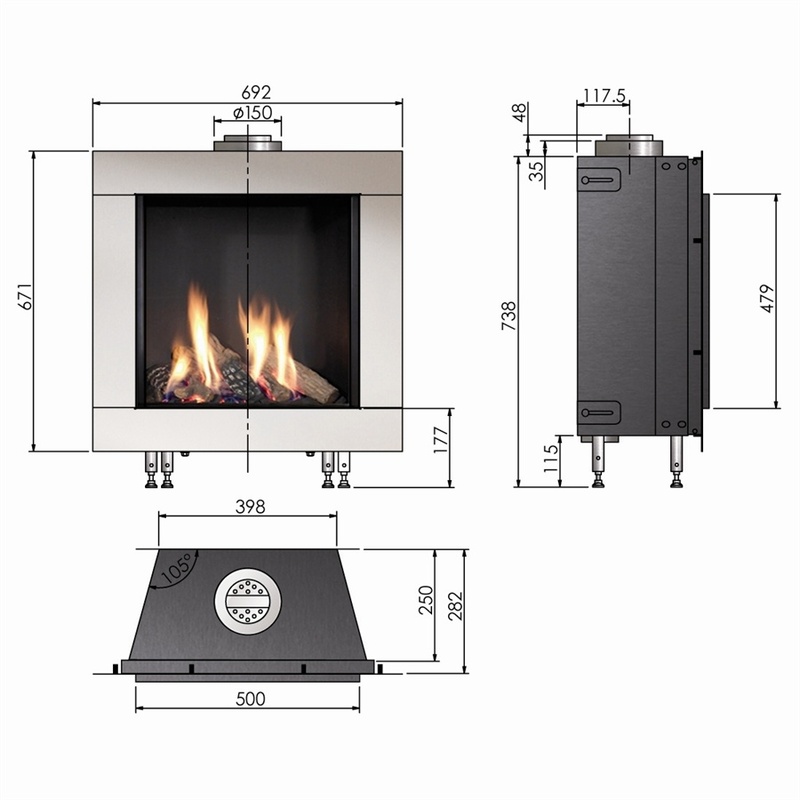 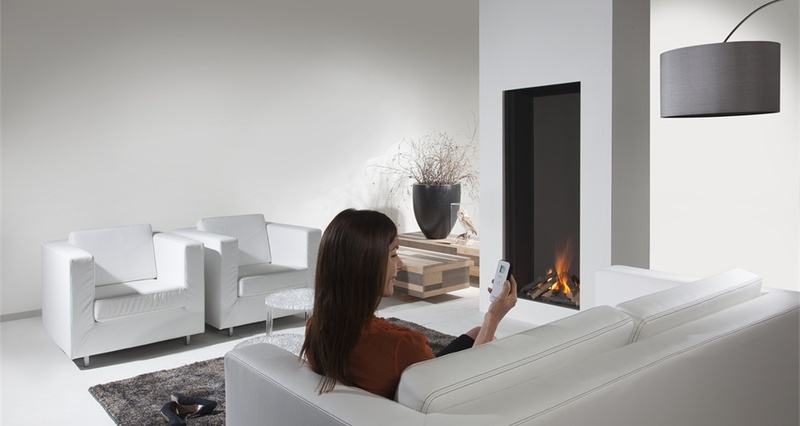 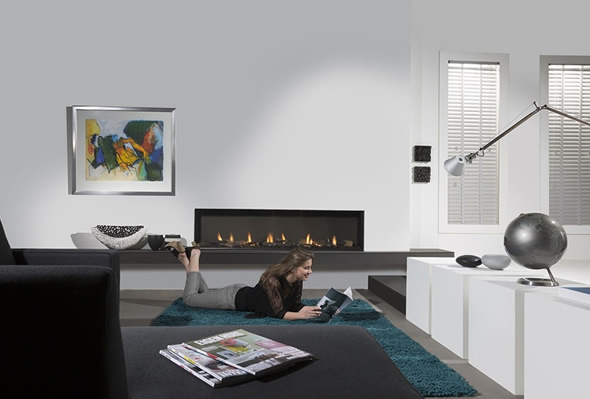 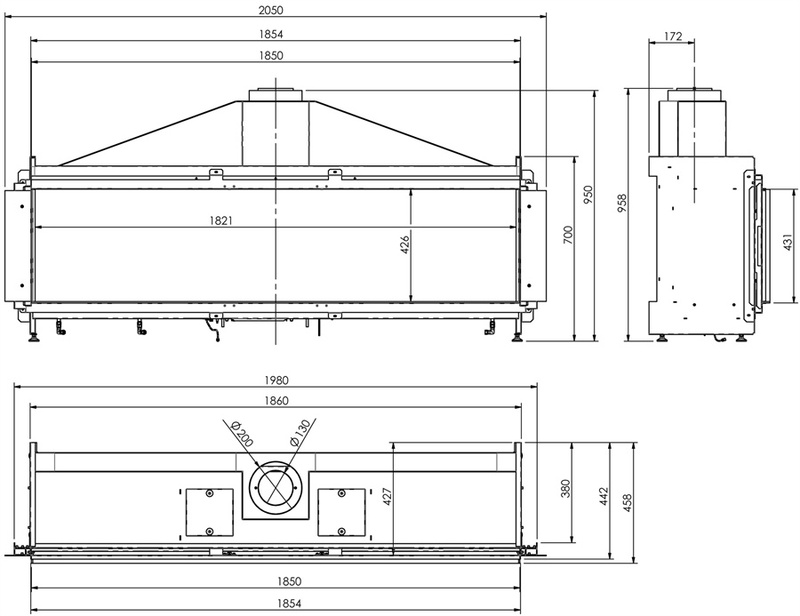 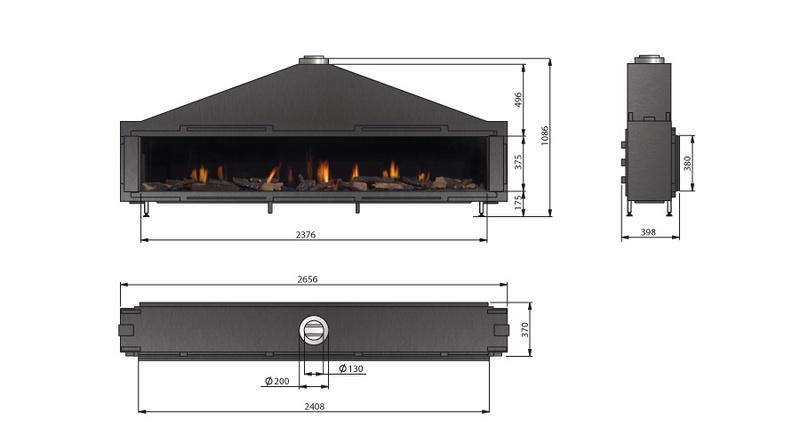 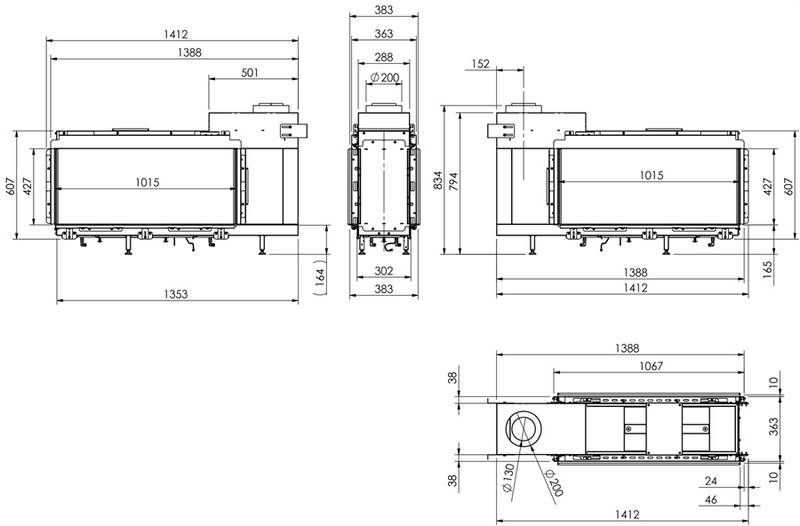 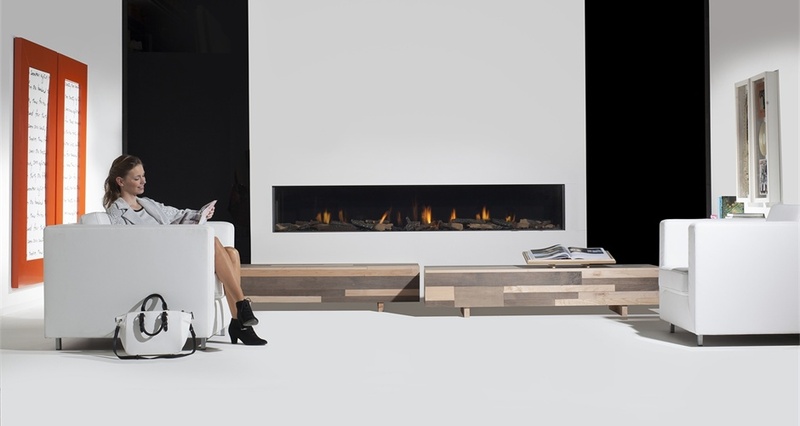 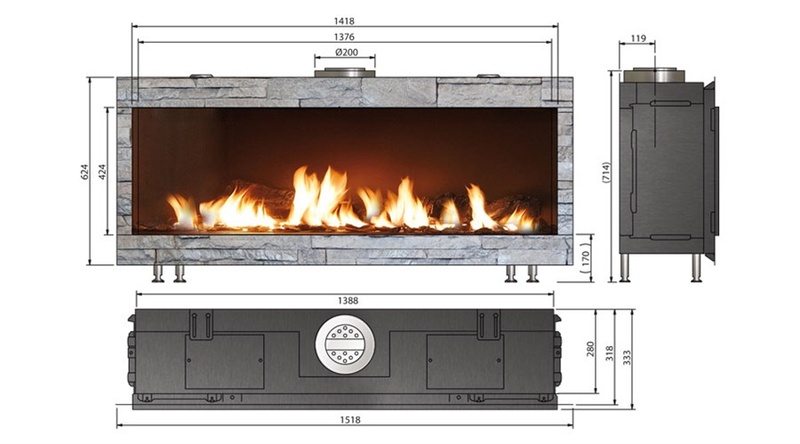 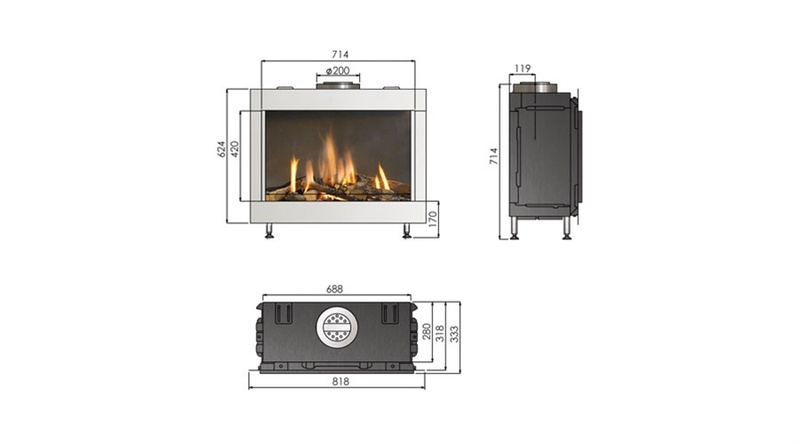 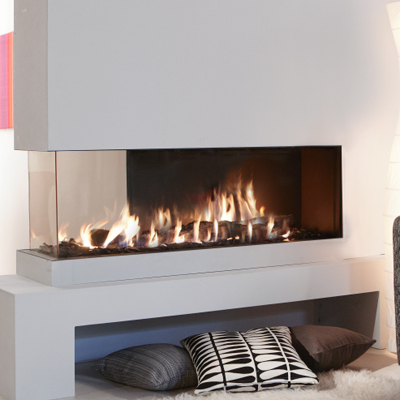 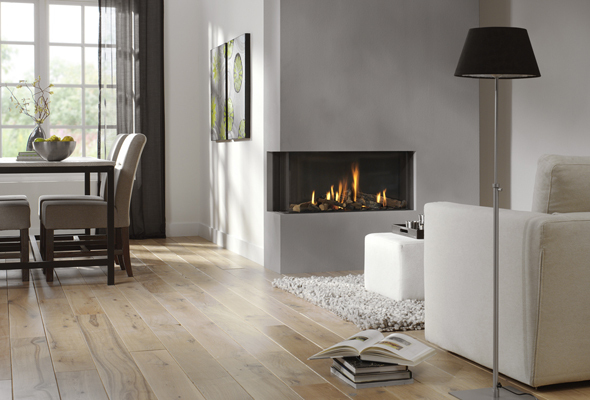 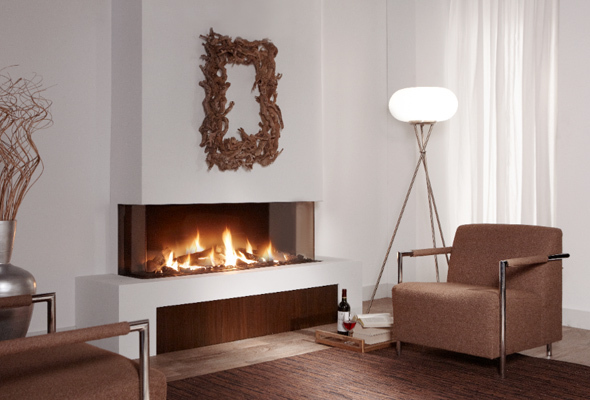 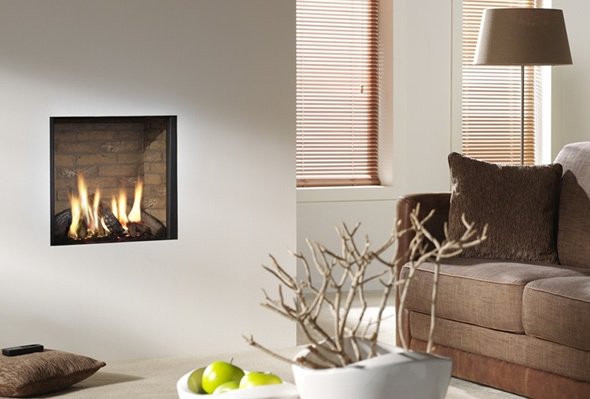 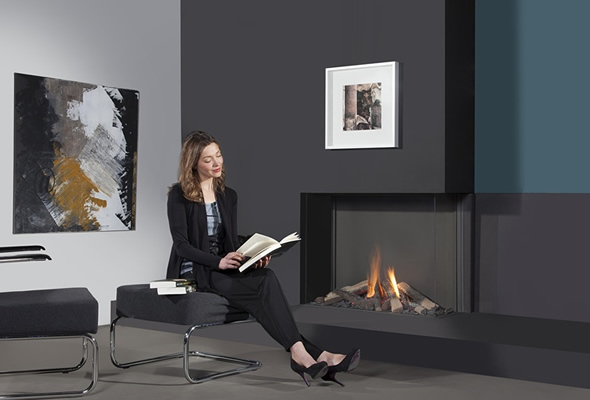 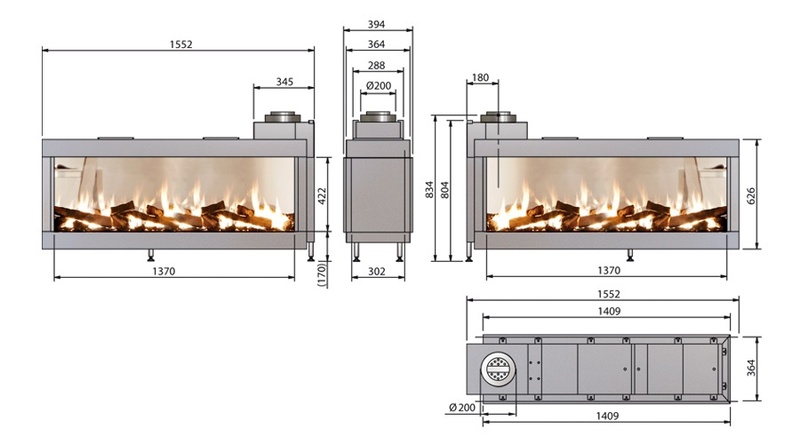 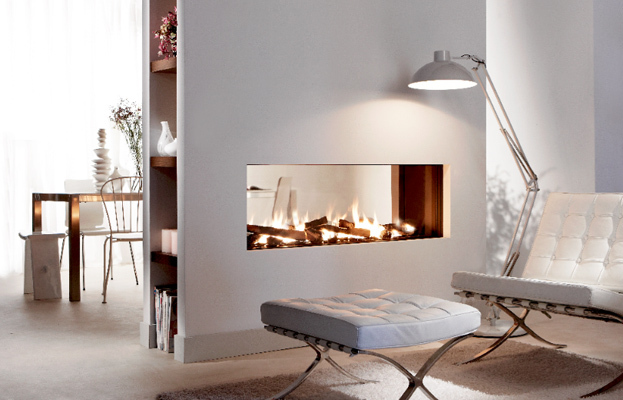 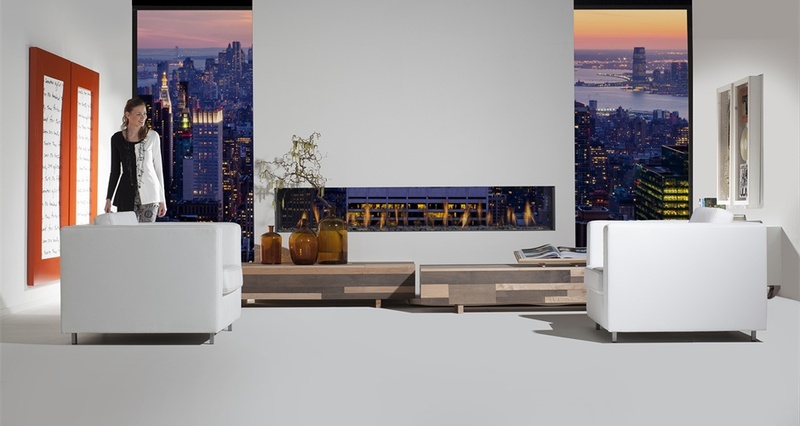 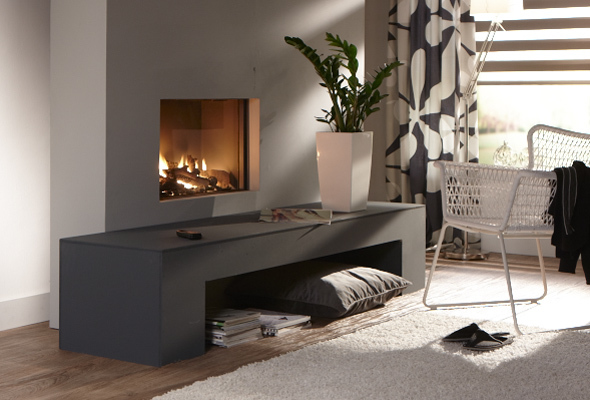 Element4 Natural Gas Fireplaces may be installed with standard chimneys. 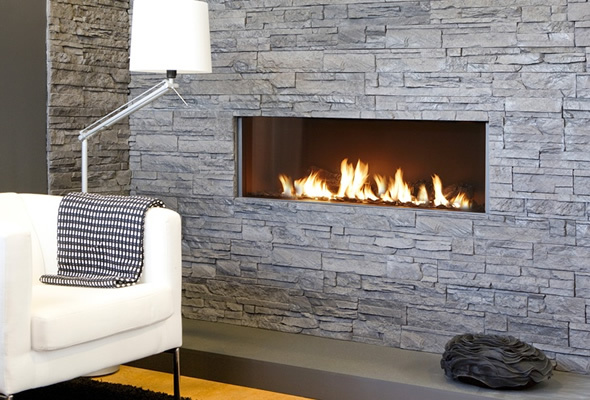 If you do not already have at your house, a chimney may be assembled on the outer wall or on your roof. 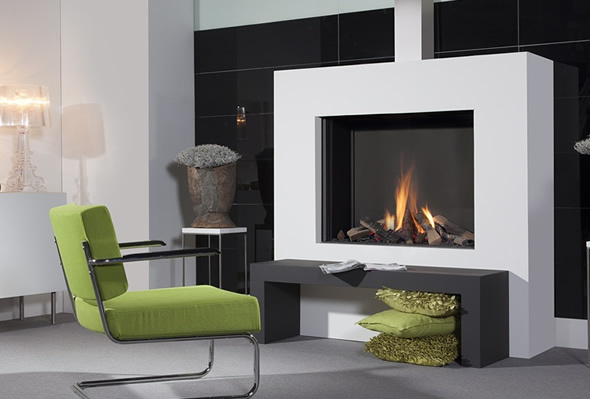 Choice of log set or white Carrara pebbles. 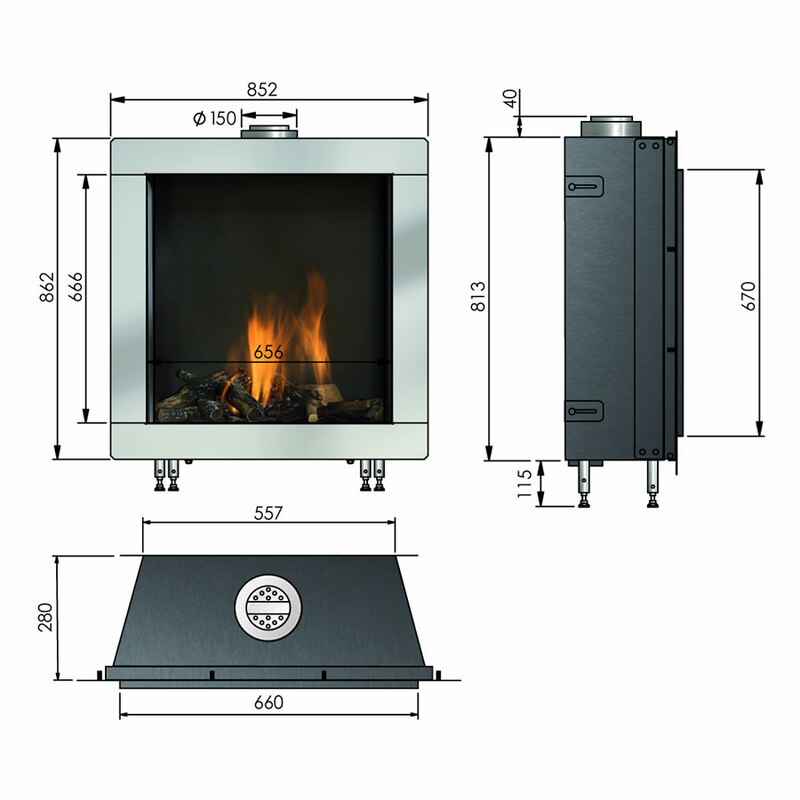 Frameless 2-sided built-in fire, left or right corner. 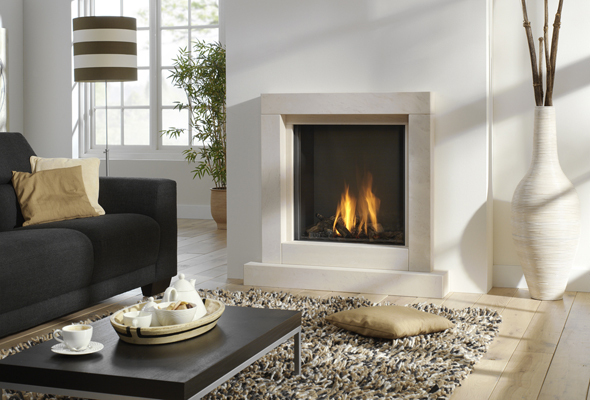 Choice of log set, Big Log or white Carrara pebbles. 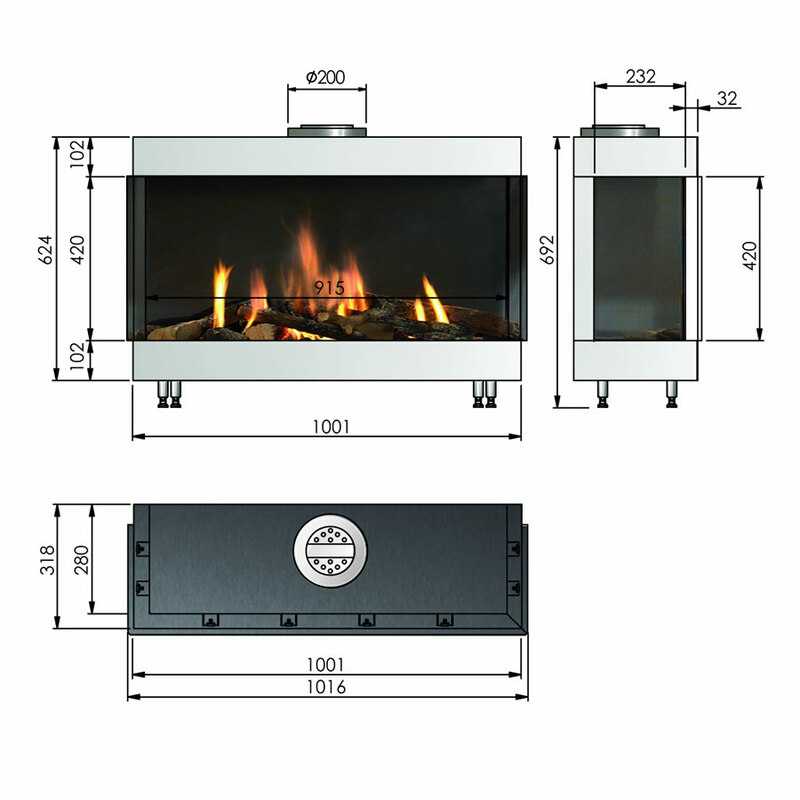 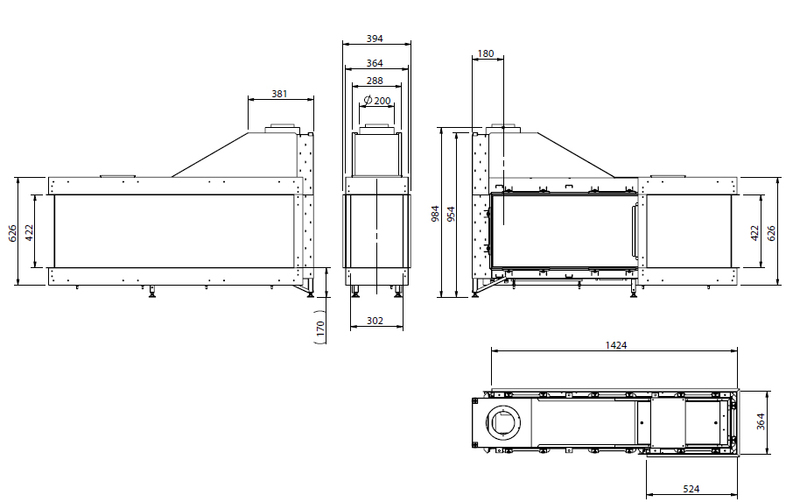 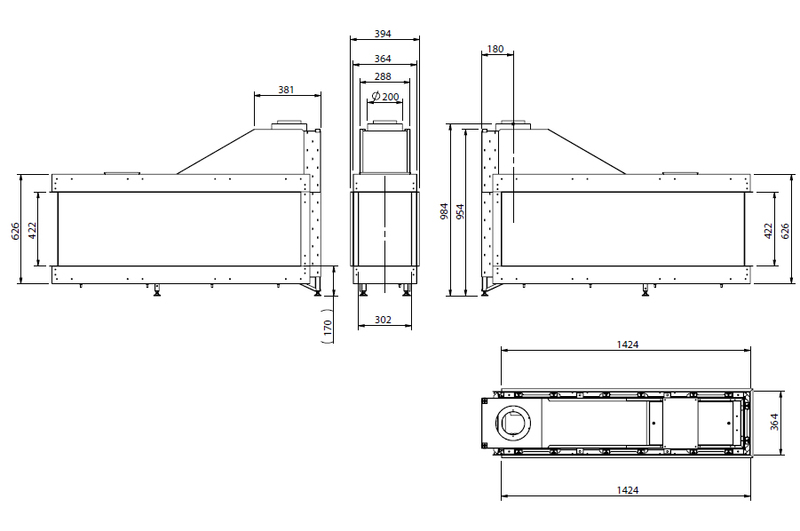 Frameless 3-sided built-in fire, Roomdivider. 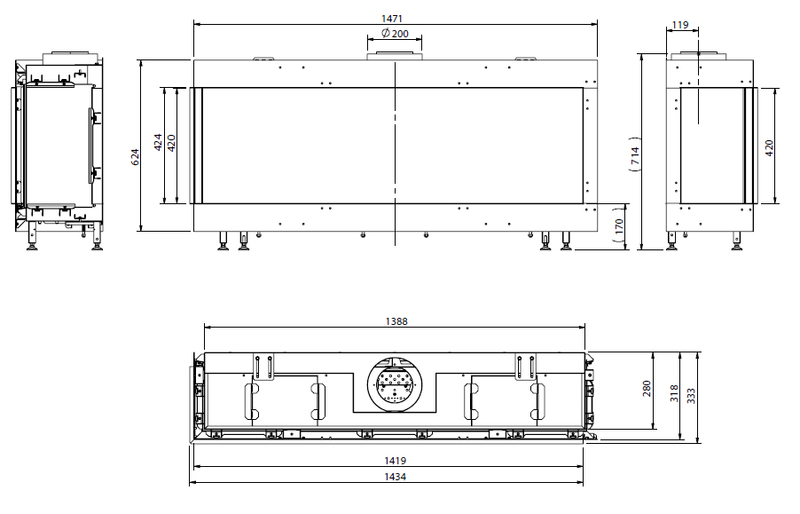 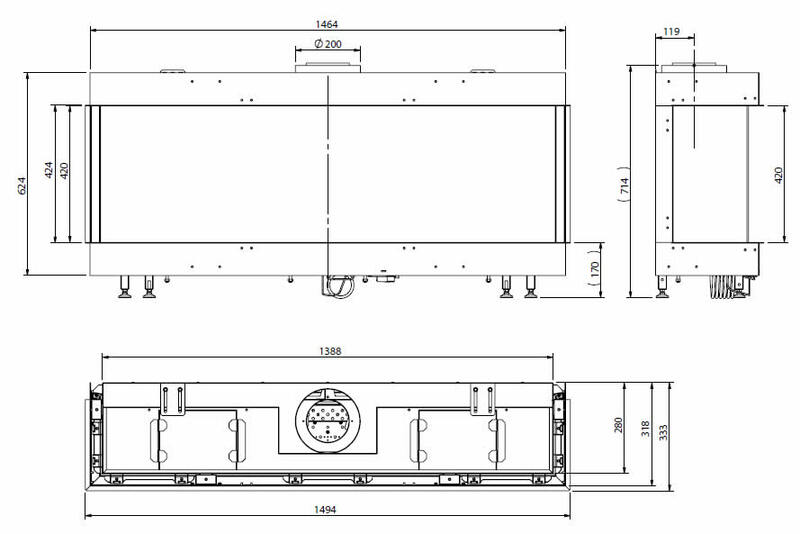 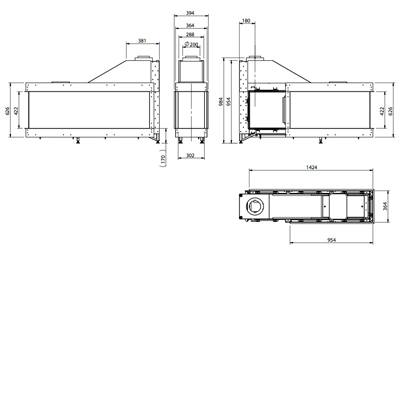 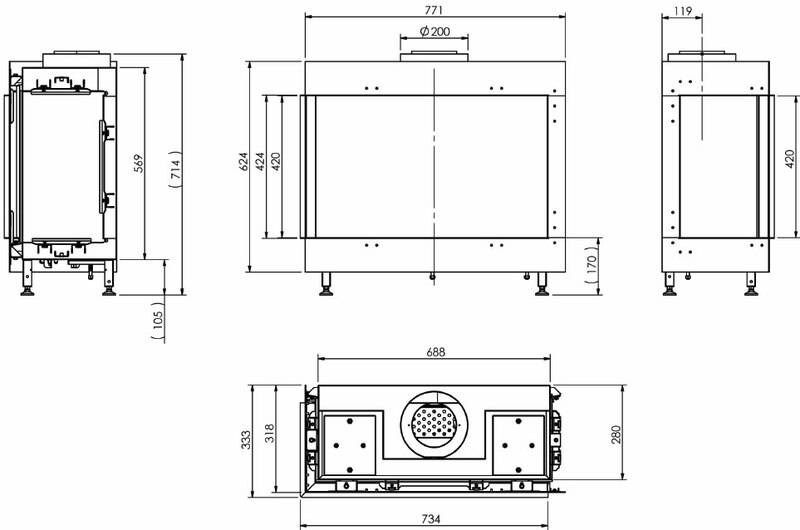 Frameless 3-sided built-in fire, Roomdivider 1/3 glass, left or right. 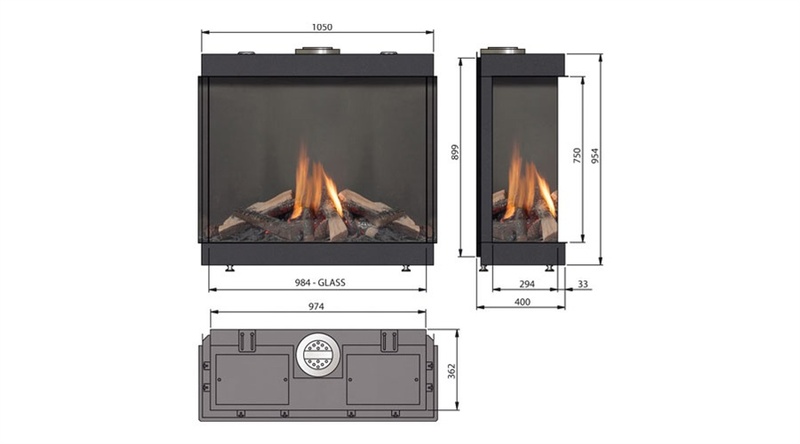 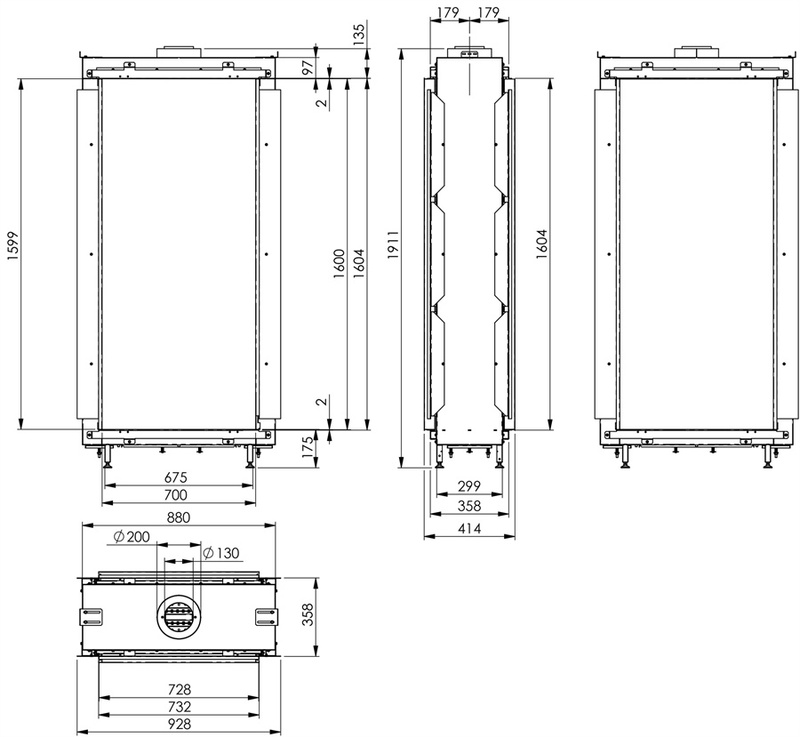 Frameless 3-sided built-in fire, Roomdivider 2/3 glass, left or right.